Several weeks ago this mysterious package full of exotic stamps declaring NIGERIA NIGERIA NIGERIA arrived at my house. Surprised, I wondered why it came to me. But when I turned it over I saw my friend Halima's name for the return address. "Halima's book!" I remembered. Halima and I had emailed back and forth since her husband had died in 2012. And now I held in my hands, like a baby, the fruit of her hard work. A few days later, the Saturday morning after I'd mailed off Christmas presents to my far-away family, I opened her book for a quick look. But I couldn't put it down. From there I took it to my favorite chair in the living room and for the next several hours I was enrapt with this pastor's wife in Nigeria as she weighed the questions, the raw pain, and the integrity of faith during grief. 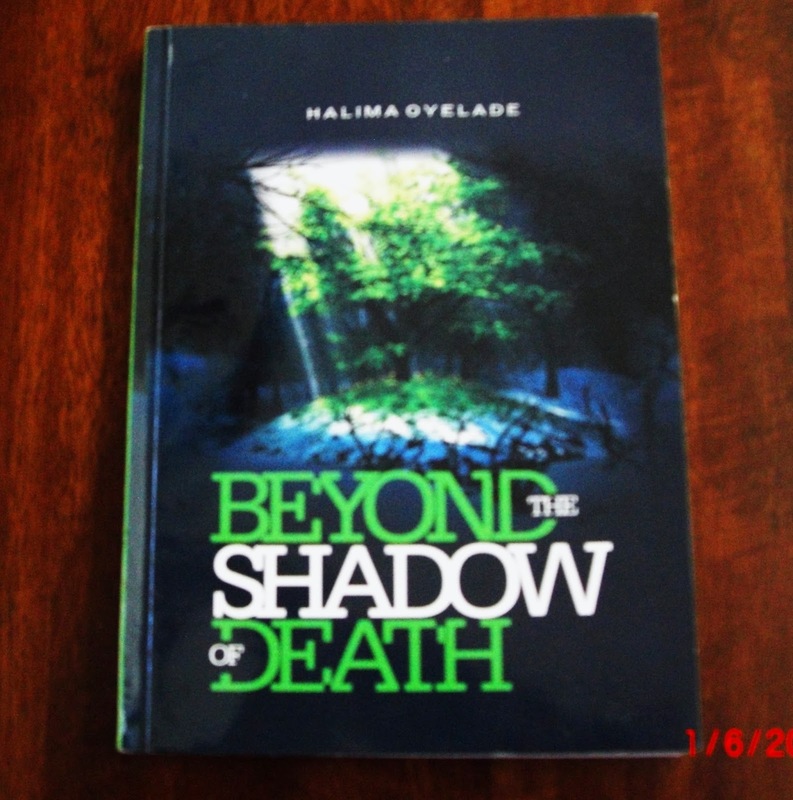 Halima wrote this, published it, and gave it out at a memorial service and celebration for Tunbosun, her husband. What a tribute! Love shines through! And in chapter 13, as I read the words of tender memorials I began to understand the depth of the loss for Halima and her children, for Nigeria, and for the church. I mourned too, and why not? Many a pastor and father of young children is called home "before his time" and the sadness is not only a natural, but also a proper and respectful response. Yes, the Christian grieves, but we do not grieve without hope. unanswered prayer, and much more. I began to underline rich nuggets of her wisdom, and one that sticks with me still is this: "...we must trust Him enough..." So often we think we must wait until we can trust God completely, but enough is what's required for the day. This 153 page paperback book is attractively laid out, and deserving of a wide-read. Halima will be the first to apologize for a few typos, but I didn't find them a distraction at all; I could never write a few sentences, let alone put together an entire book in a second language! Overall, you will come away with having met a skilled and intelligent woman who can take profound Biblical truth and show you it restores the soul. Beyond The Shadow of Death will bring you into the light of God's faithfulness in this wounded, fallen world. Would you like to read this too? We haven't determined how to do this with shipping and everything, but please contact me at WCplace@gmail.com and I'll look into it with Halima. Sounds like a good read. I would be interested. It seems to me that since this is such a timely message God will make a way in the dessert of shipping charges to get it here! Maybe if we made an order together rather than individual books. It's all I can do to write my thoughts in my journal and my two blogs. To think of writing a book would be too much for me. May God richly bless Halima for putting her story out. I've sent you an email about getting a copy of her book. I'm sure it will be great encouragement to all who read her story. So far I've received requests for about 10 of Halima's books, PTL! If you have emailed me, I've put your name on a list and I will contact Halima to look into the costs and the shipping. I'll then contact you with the information. Ferree, please put me on the list as well for one of her books!!!! and place me on the list. Sounds like a book filled with some wonderful insights to share with my friends. I would love to read this book. Please put me on the list for a book, Ferree. It is fairly easy to make a Kindle book for sale on Amazon. I would suggest looking into that.